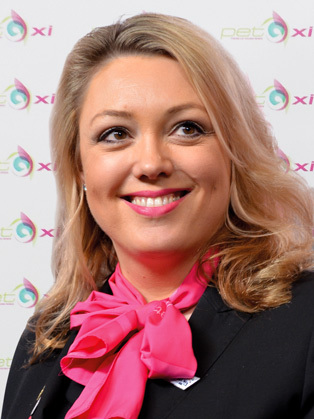 Fleur Sexton is the Managing Director and founder of multi-ward winning PET-Xi Training, whose relentlessly upbeat teams and innovative programmes deliver impact, inspiration, productivity and value across the UK. PET-Xi have to date worked with 150,000 students in schools across the U.K. helping to improve results and progression, they recently pioneered a UK wide “Upskilling the Nation” scheme for unemployed & homeless adults, helping them to return to the workplace and society and an apprenticeship scheme to help young people gain vital skills, experience and qualifications in the world of work while helping employers to raise standards and close the skills gap. Fleur has come from very humble bedroom entrepreneurial beginnings, founding PET-Xi and turning it into a multi-award winning business, including being the newly-crowned Coventry Telegraph Company of the Year 2017. Fleur is now deeply committed to motivating and inspiring women in business to find their voice and fulfill their potential and to highlighting to Government and employers the real value of investing in skills. Also, a board member of Coventry & Warwickshire Champions, Historic Coventry Trust, Chamber of Commerce and The NSPCC Business Group. PET-Xi are very hands-on, sponsoring and actively supporting at Birmingham Hippodrome, were active bid development sponsors of the successful Coventry City of Culture 2021 bid, The Wasps Netball team STEM project and Coventry Blaze Ice Hockey community foundation. Fleur Sexton is an inspirational speaker with a passion for helping people to find their purpose, develop resilience and determination, and understand the importance of dealing with what’s real. Her commitment, focus and drive shine through and will set you on the right road to delivering results, no matter what problems you’re faced with. There are many types of speakers and the best are able to inspire, engage, connect to their audience and inform whilst creating energy and fun in the room. I can honestly say that Fleur Sexton is the ‘best kind of speaker’ with warmth and a genuine desire to educate and empower her audience. As Businesswoman of the Year 2017, Fleur has so much worth sharing with others.